After almost half a year and a house move, i have finally managed to find my lost imperial guard tanks. A Leman Russ battle tank,Leman Russ Demolisher, two Chimeras and a Sentinel. I stopped painting my imperial guard army for that reason, and i them moved on to my Orks. So i think its time i re-visit the guard army and continue to paint it up. 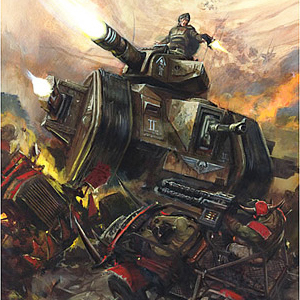 Leman Russ Demolisher and Leman Russ battle tank.